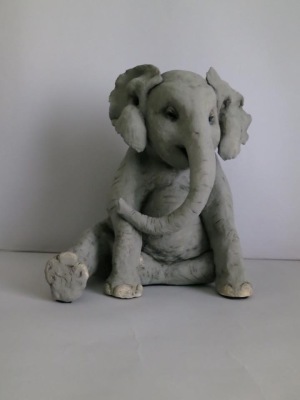 Whilst doing a pottery course my tutor suggested I try sculpture as I was enjoying making animals more than making pots. So in 1999 I went on a sculpture course doing free forms and animals then going on to do courses in portrait and life. 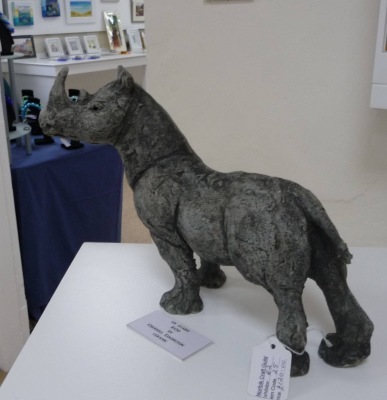 Finding that I wanted to get back to my love of sculpting animals I went on several courses with different sculptors including Brendan Hesmondhalgh learning different techniques including working with wax. After working in wax I completed a course on making silicon moulds and how to cast in Bronze Resin from the moulds, after doing this course it made me realise that I preferred the freedom of working in clay making individual sculptures. I am still enjoying these courses as each sculptor has their different ways of working with clay, giving me inspiration for my work. During doing the pottery courses I became interested in Kiln firing glass, so I went on a course on how to make the moulds to make hand painted glass bowls. I find its nice to have a break doing something different now and again from the sculpture.